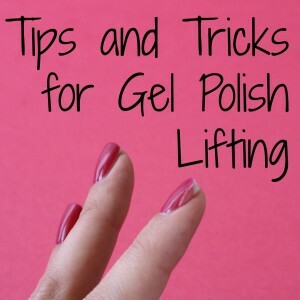 I thought it would be fun to do a post with my favorite gel polish colors. Sometimes it seems like I can’t get enough colors, but I do frequently go back to my favorites. I had an extremely difficult time choosing ONLY 10 colors, so at the bottom I have 5 honorable mention colors. Haha! 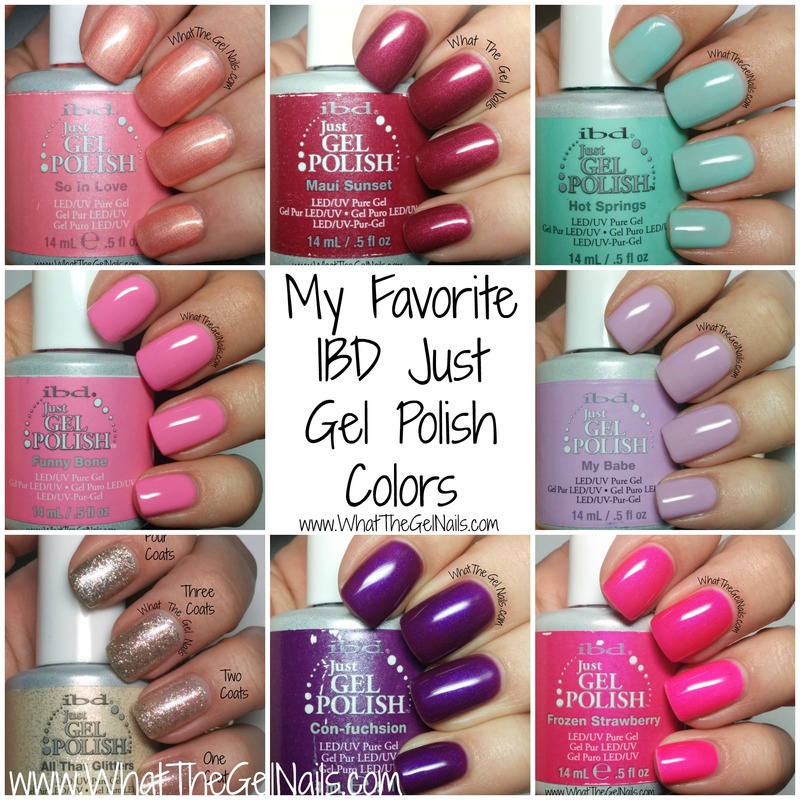 And now for my top 10 favorite IBD gel polish colors. 10. IBD So In Love. This color is great as a colored neutral. Yes, I know that sounds like an oxymoron, but it’s honestly the best way to describe it. It’s a very light pink that is very subtle. But, it also has a beautiful frosty/shimmery finish. I do lots of nails for my friends and family and this is a very popular color for people who aren’t used to a lot of color. 8. IBD Maui Sunset. 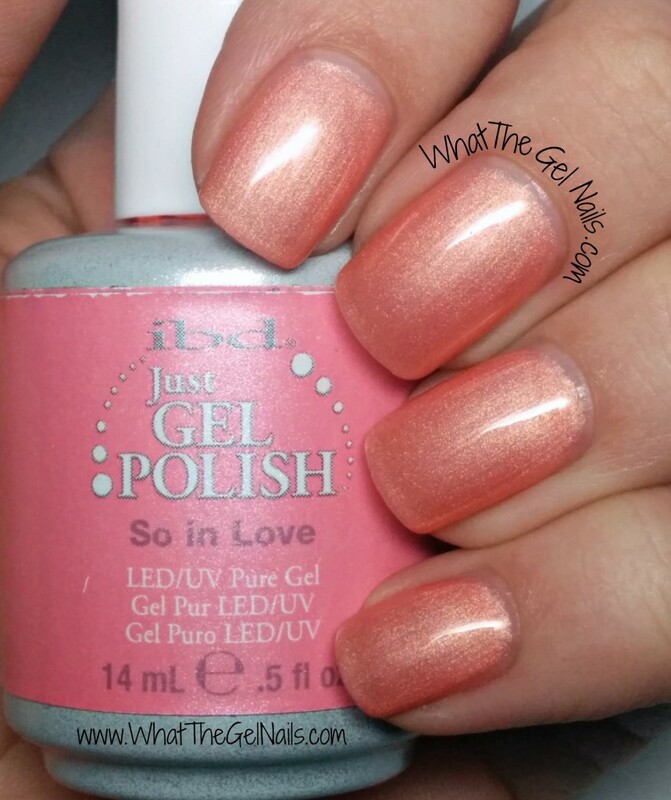 This gel polish color is so awesome! It’s red, which usually is not a good color for me, but it has a beautiful purple undertone that looks great with my skin tone. Also, the shimmer is absolutely gorgeous. It’s one of those colors that surprises you even after wearing it for a few days. It is so beautiful!! 7. IBD Hot Springs. Everyone needs a mint green nail polish and this one is a great choice. It’s definitely mint green, but leans closer to the blue end than it does to the green end. Hot Springs is pretty sheer which is a little annoying. It needs 4 coats, but the end result is amazing, so I deal with it. I mean, sometimes you make exceptions for mint green because, mint green! 6. IBD Funny Bone. This is a beautiful pastel pink cream. I would call it bubblegum, but it’s a bit softer than that. It’s perfect for spring and summer and I especially love it for Easter. 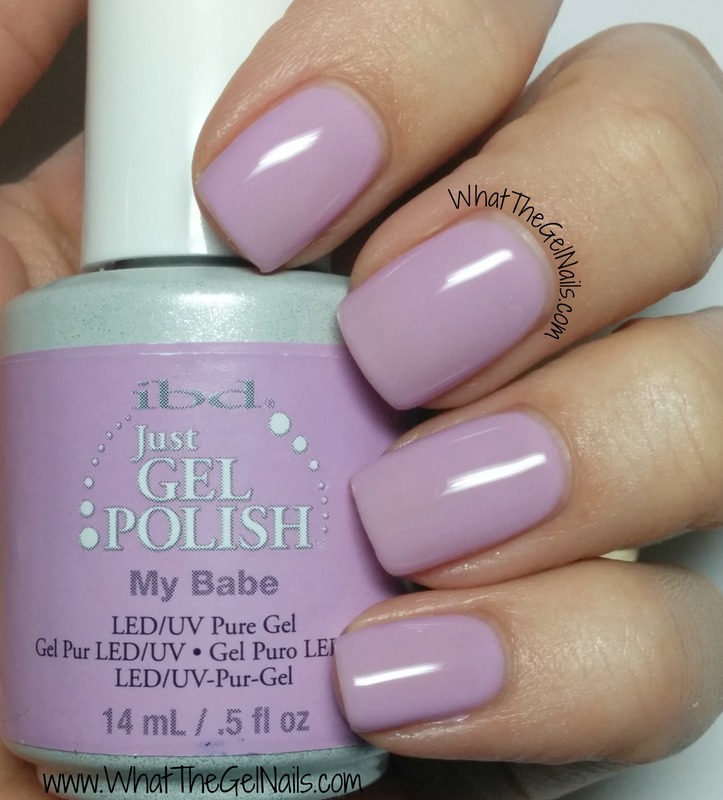 Pink is my favorite color so it doesn’t take much to make me love a pink gel polish color, BUT this is one of my absolute favorite pinks. 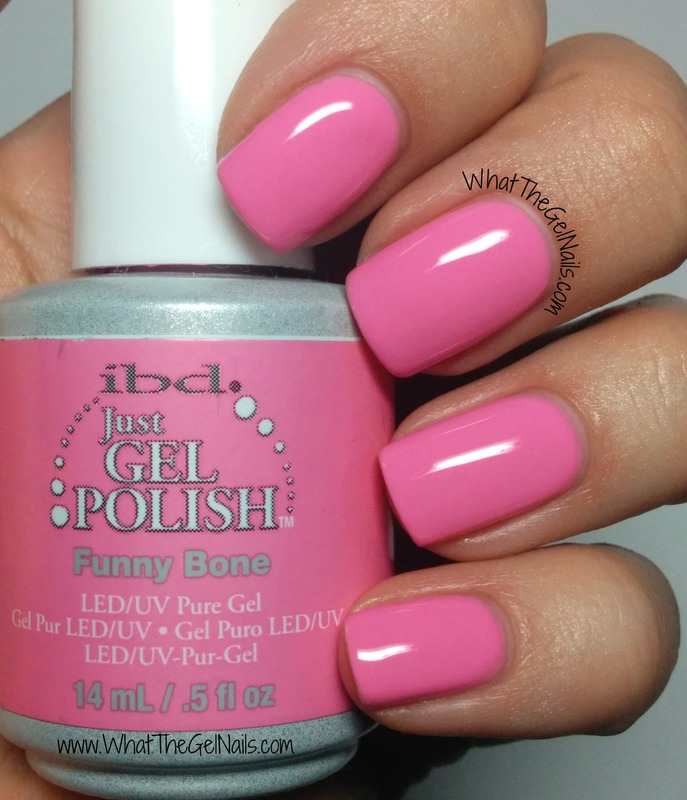 If you are a pink lover like me, I definitely call IBD Funny Bone a must have. 5. IBD My Babe. This is another gorgeous pastel cream, but this one is purple. Yeah, purple is my second favorite color so it’s no surprise that this color is in my Top 10 list. This one is great for spring and summer and I also love this one for Easter. I’ve always loved pastels and this one is very pretty. I have had some issues with this color separating, but now that I have a Robart paint shaker, those issues are long gone. 4. 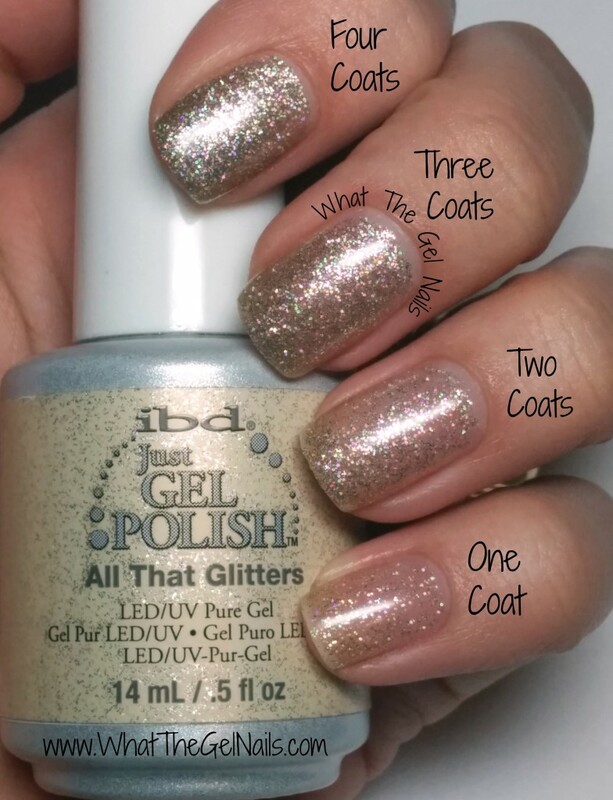 IBD All That Glitters. This is my number 1 favorite glitter right now. 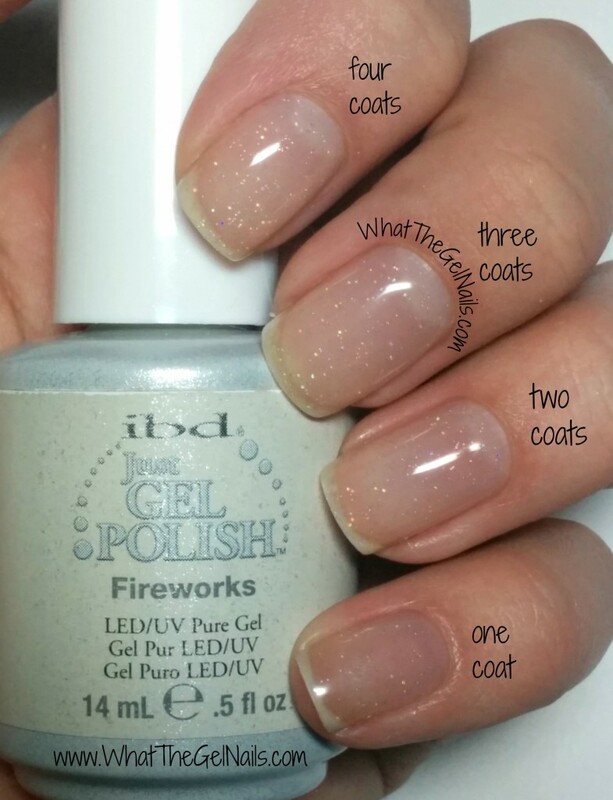 It’s a light gold and works great as a glitter topper, but it also builds up to full coverage. One quirky thing about this color is that it sometimes look gold and it sometimes looks silver. This definitely isn’t a negative to me, but if you are looking for a true gold, this may not be the best choice. But, if you are just looking for a gorgeous glitter, than this is a great option. I love it! 3. IBD Whipped Cream. 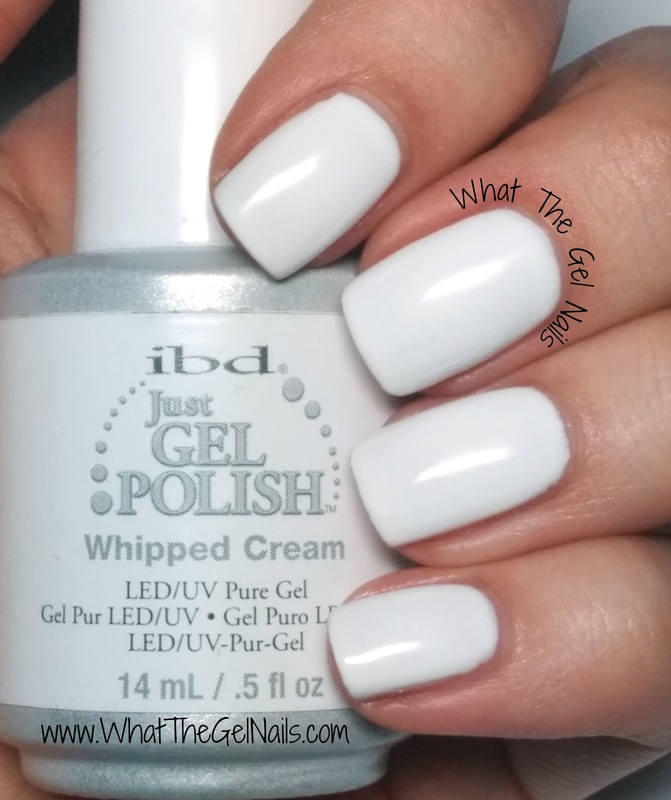 I love wearing white on my nails and this color is just that, a nice white gel polish. Be aware, a LOT of people have issues with this color and I was definitely included in that list. Luckily, all it really needed to fix those issues was a good shake. So, again, my Robart paint shaker came to the rescue and saved this color. This gel polish color was actually the main reason I bought my paint shaker so I was ecstatic that it brought my Whipped Cream back to life. The weird thing is that the Whipped Cream is best the day after I shake it in the paint shaker rather than immediately after shaking it. Don’t get me wrong, it’s much better immediately after shaking, but it’s best the day after. 2. IBD Con-Fuchsion. 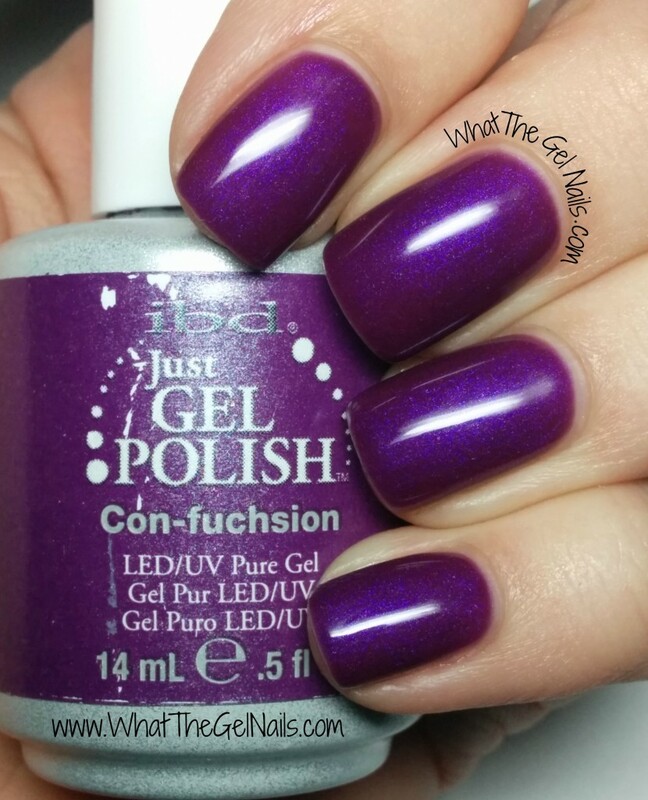 This was one of my very first gel polish colors and it has been firmly in my top 10 every since then. It’s a gorgeous purple with an absolutely stunning blue shimmer. It’s a great purple that isn’t too loud, but definitely pops. It’s just awesome! 1. IBD Frozen Strawberry. This is my absolute favorite color in the world. I have had this color of nail polish, in various brands, ever since I was a little girl. Any time I ran out, I promptly found the same color, sometimes in a new brand, as quickly as possible. In fact, my last regular nail polish manicure was OPI Pompeii Purple (which is basically a dupe for IBD Frozen Strawberry). That last regular nail polish manicure, I loved the color, but I was so unhappy with the wear (it only lasted 4 days and it was OPI!) 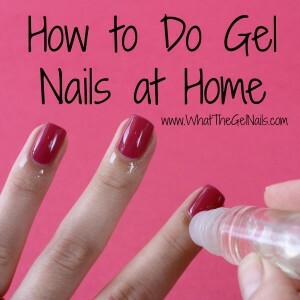 that I gave all my regular nail polish to my sister and ordered Frozen Strawberry that weekend. 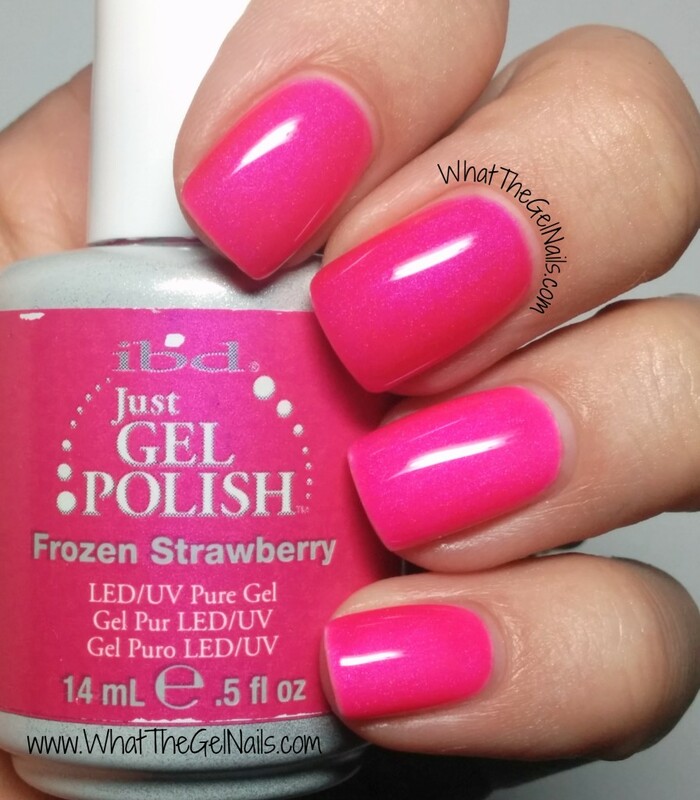 Frozen Strawberry is also awesome because it can be a neon with one coat of white under it, or it can just be a beautiful bright pink with blue shimmer. 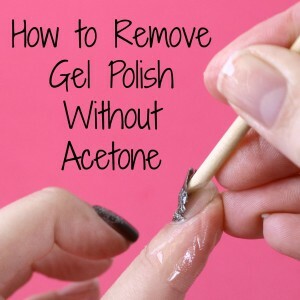 This pic has one coat of white on my pinky and ring finger and just Frozen Strawberry on my pointer and middle fingers. Okay, enough about this color, I’ll just let the picture do the talking. Now for the honorable mention. I had a really hard time just choosing 10 colors, so here is a list of my next 5 favorite colors. 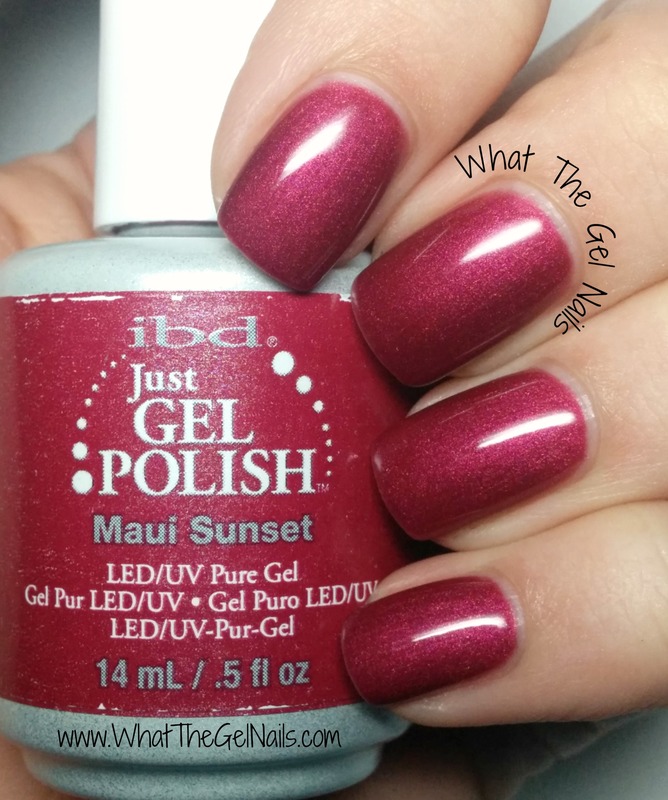 No pictures, but you can click on the name to see the post where I swatched them.